Wildlife & Waterfowl Solutions LLC was established to provide wildlife removal services and solutions to customers for all of the animal nuisance problems that are occurring on their property. 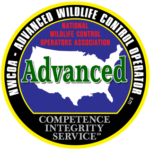 We have almost 20 years of experience providing customers with safe, effective, reliable animal control solutions and services. We provide services for trapping wildlife, deterring critters, and removing animals. We will also repair all types of animal damage that has occurred and prevent the critters from coming back. Over 20 years field experience, education, and continuing education. Using behavior and biology of animals along with the newest technology and techniques will solve your problem. A report is provided after inspection to detail recommendations and to show pictures of evidence. Servicing the Chicagoland area including Antioch, Arlington Heights, Barrington, Buffalo Grove, Cary, Crystal Lake, Fox Lake, Fox River Grove, Glenview, Gurnee, Island Lake, Kildeer, Lake Moor, Lake Villa, Lake Zurich, Libertyville, Long Grove, McHenry, Palatine, Round Lake, Spring Grove, Vernon Hills, Volo, Wauconda, Waukegan.